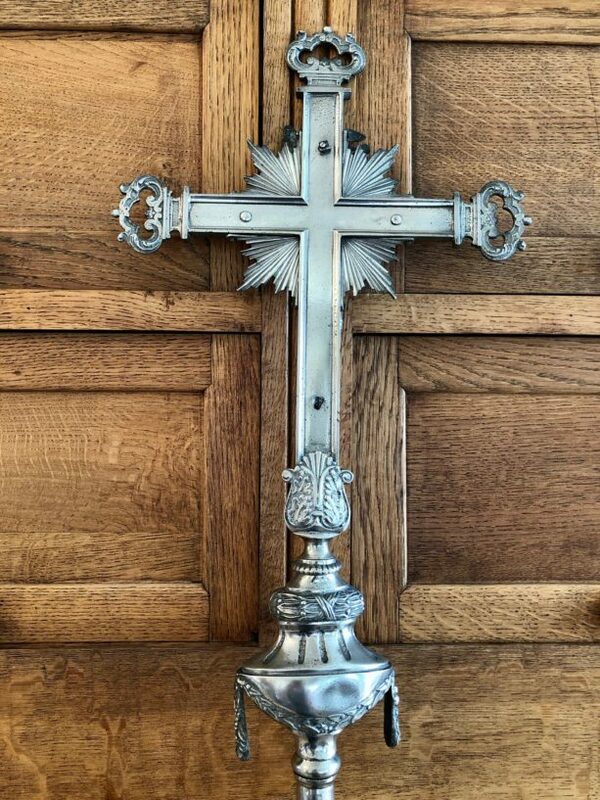 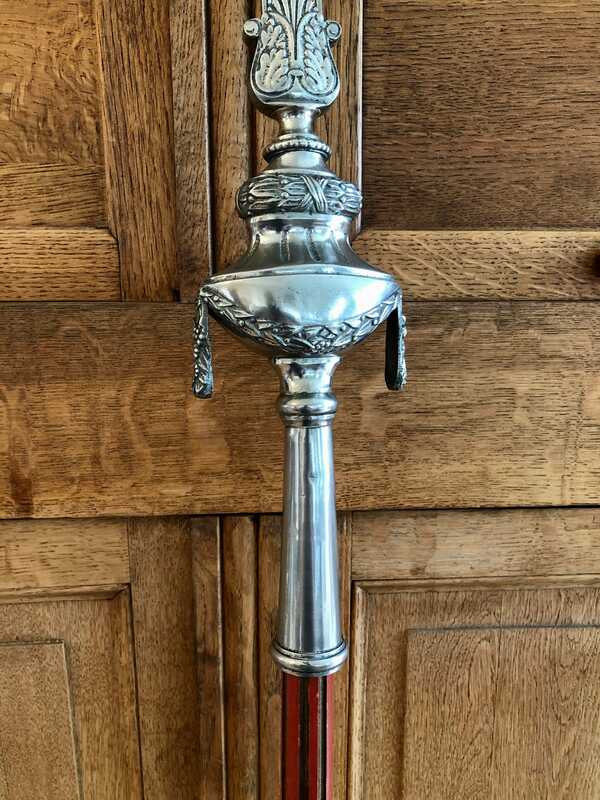 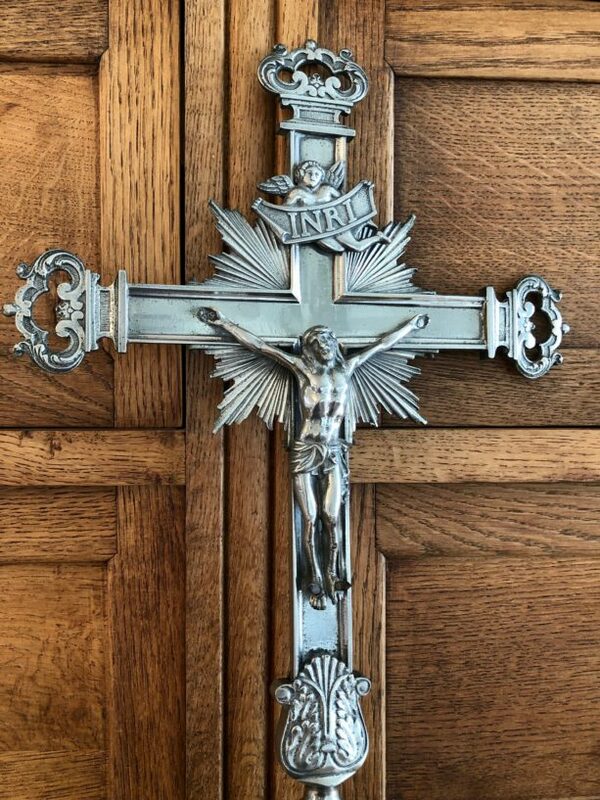 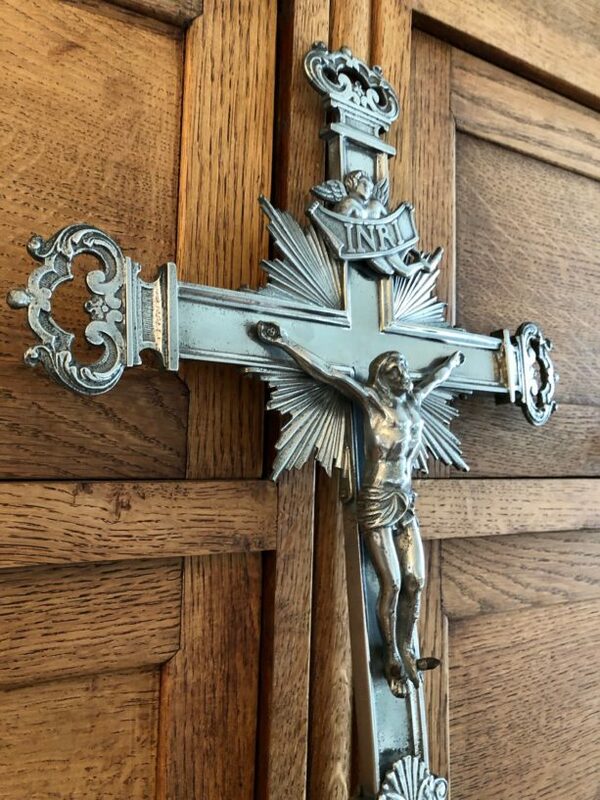 Antique silvered metal religious processional crucifix c.1900 used in outdoor processions . 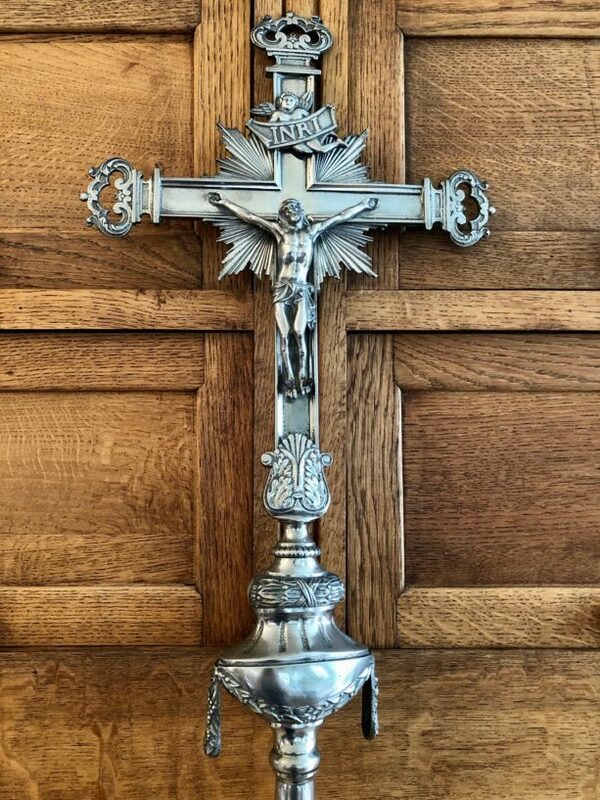 (A processional cross is a crucifix or cross which is carried in Christian processions). 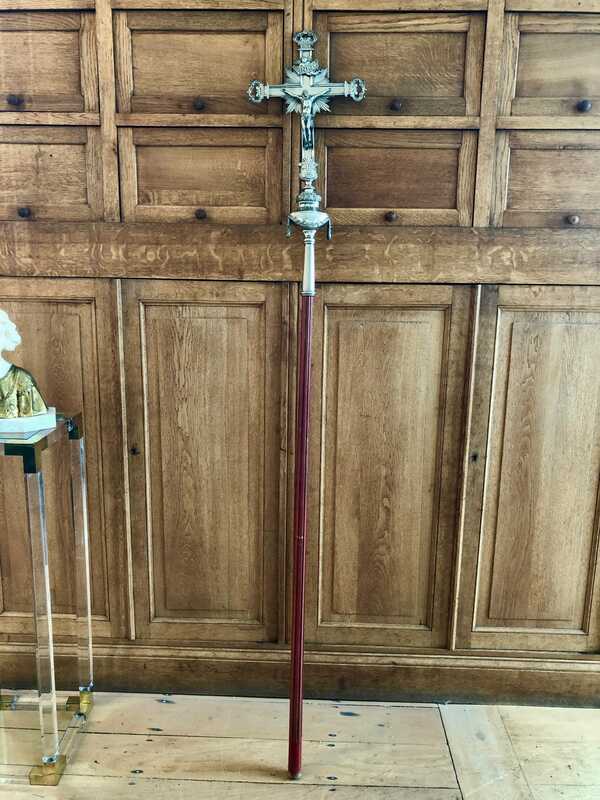 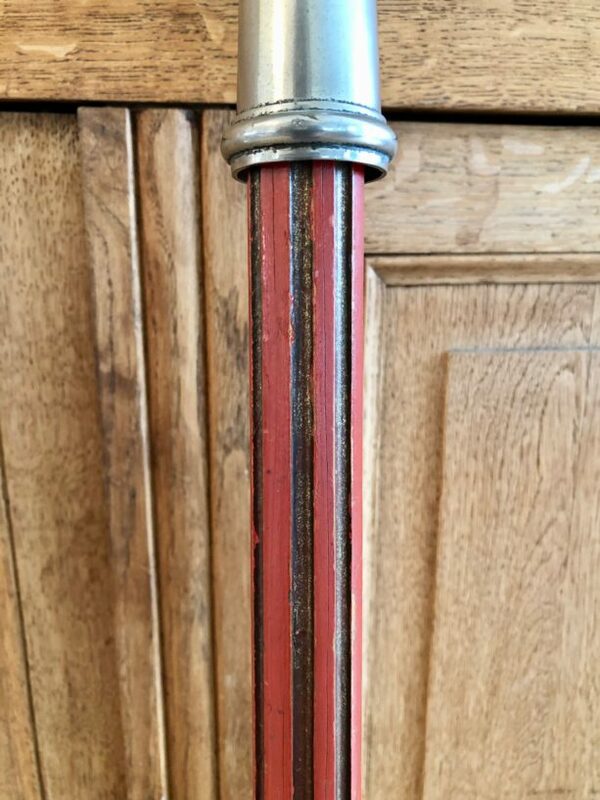 Mounted on a wooden painted pole (the two pieces detach for easier transportation).